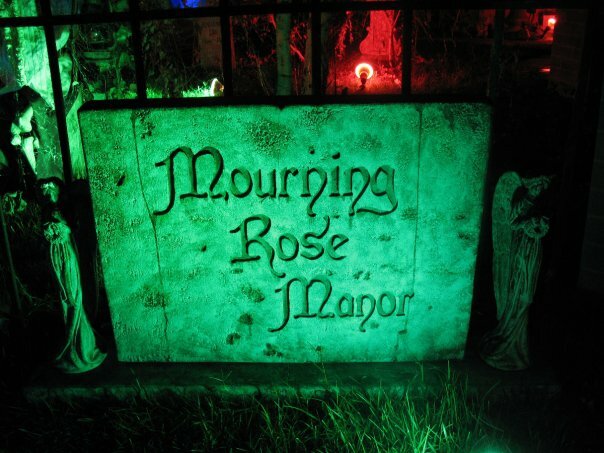 This decorated yard haunt lasts all month long, with tombstones, lights, skeletons, and phantoms haunting passersby. The ghosts of times long past stir and wait for their chance to walk among the living. Will you come and greet them? They’re always looking for company. Come stay a while…a long while…. Tombstones await your perusal within the Mourning Rose Cemetery.